If sensors and the building management system are used and well-maintained, managers can save energy and improve building sustainability. Conversely, bad sensors can lead to severe deviations in building performance. An article perfectly illustrates the point, but not in a direct way. The idea is that with sensors and algorithms, automatic doors, typically seen in malls and convenience stores, is opened only for people who intend to use it. The door estimates when the interested party will arrive and times the opening such that the door will finish opening itself just as you get there. By themselves, sensors are inherently dumb. However, the theoretical application explained previously can be applied to the overall building system solution and other related applications. For example, sensors can be applied to low-traffic areas allowing for lights to turn on only when people approach the low area. This assures that the area is well lit when it needs to be and isn’t set off by false positives. Restroom lights can be activated not only when somebody is already in the restroom area, but also when a person is approaching the restroom door. However, this isn’t limited to rooms in a building. Cities that want to be efficient must have better sensors and algorithms. City planners should put sensors near traffic intersections so that it’s possible to time traffic signals. 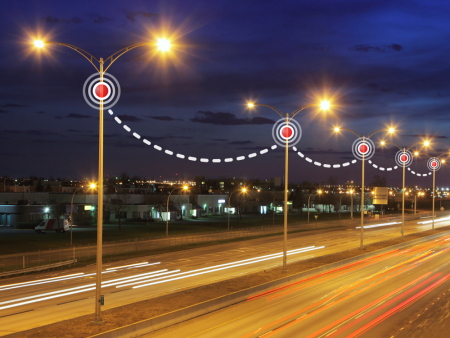 Street lamps can turn on and off not from a “set schedule,” but rather by using appropriate light-detection sensors. While many of Schneider Electric’s solutions, including EcoStruxure and StruxureWare, have followed the concept of energy management, there is a need to address the second side of equation, intelligent sensors with better algorithms. While there’s a whole product line of related sensors and systems, algorithms must play a key role. 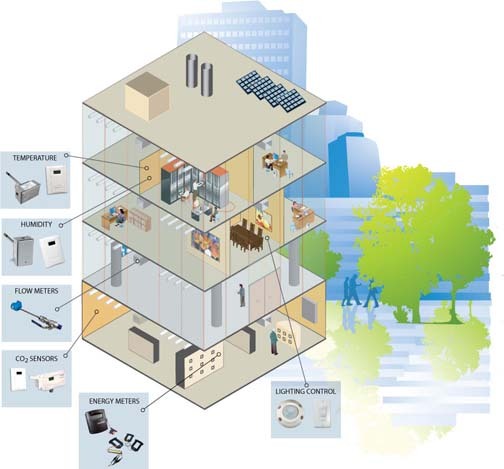 Many building and system owners already have great energy management capabilities. Even city managers have great management operations. The next level to that is a properly implemented feedback and control network filtering only the necessary information from the noise and executing an appropriate response. Having intelligent sensors along with algorithms changes the efficiency game by providing increase energy efficiency gains and moving towards a much more sustainable future. Totally agree with you, but sometimes we have already present devices that can be used as sensors, like omnipresent computers. Take a look at our approach.